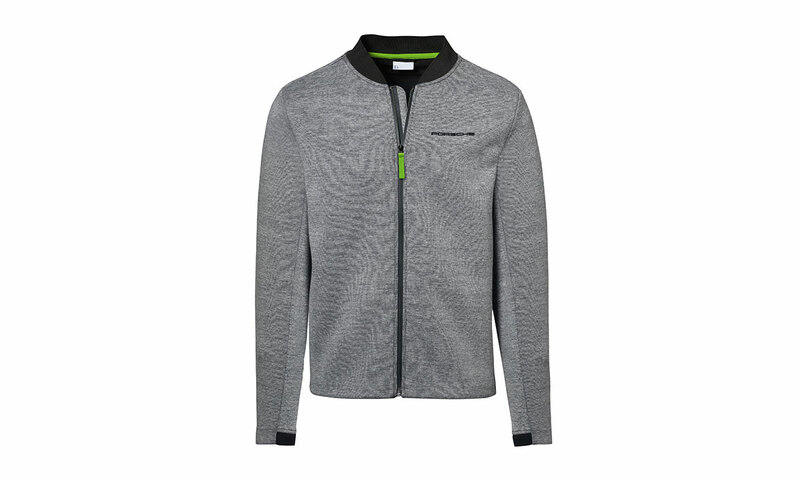 Design inspired by the 911 GT3 RS with Lizard Green details. 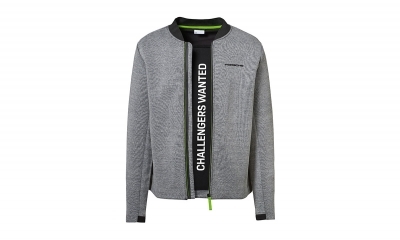 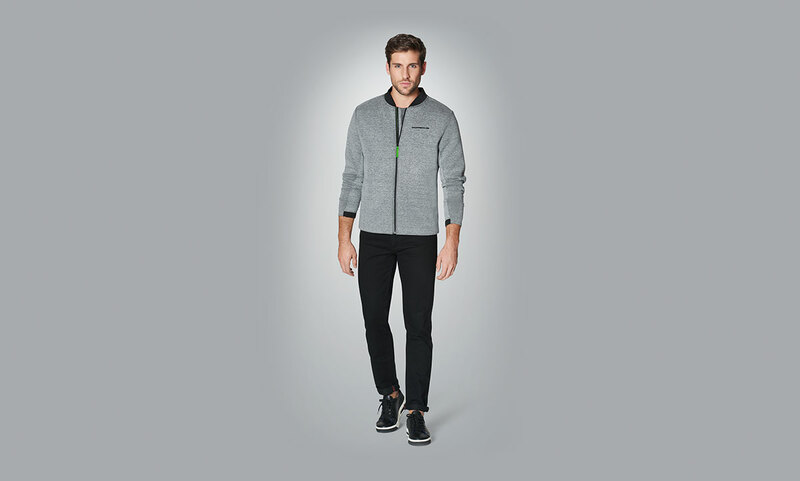 Sporty Grey sweat jacket featuring "CHALLENGERS WANTED" logo on the inside. 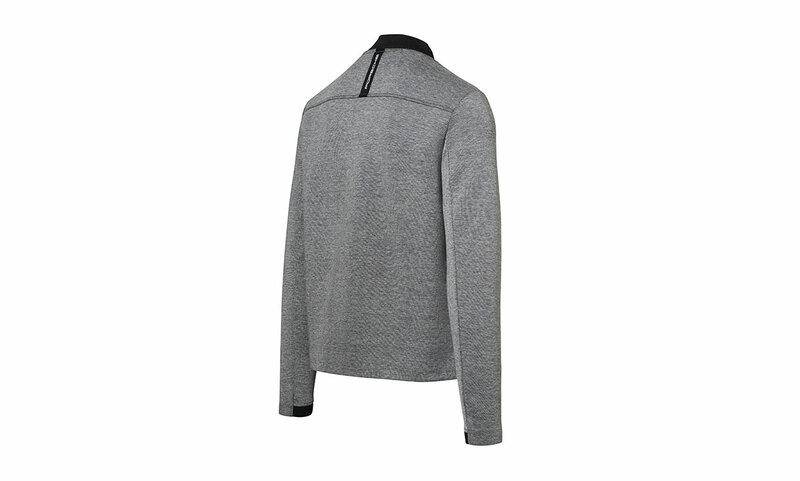 Underside of arm made of sweat material with a perforated look.